Robert Gordon University (RGU) has launched an innovative Doctorate of Physiotherapy (DPT) course that's the first of its kind in the UK. Robert Gordon University (RGU) has launched an innovative Doctorate of Physiotherapy (DPT) course which meets professional development needs and is the first of its kind in the UK. 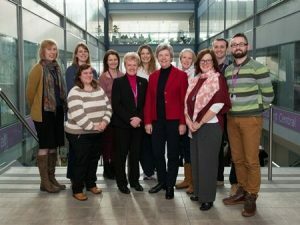 Devised by RGU’s Physiotherapy team, the new three-and-a-half year course will produce physiotherapists with clinically applied doctoral research skills and workplace experience.